Interior design and architecture. 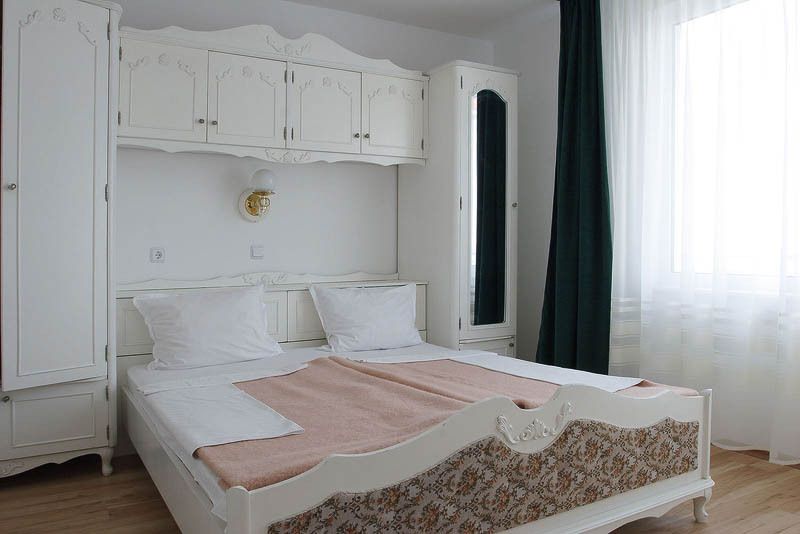 White home furniture with ornaments of bedroom in contemporary lodging. Modern bedroom with white walls, cupboards and wardrobes, large bed, hangings and wooden floor in apartment. Hotel room.